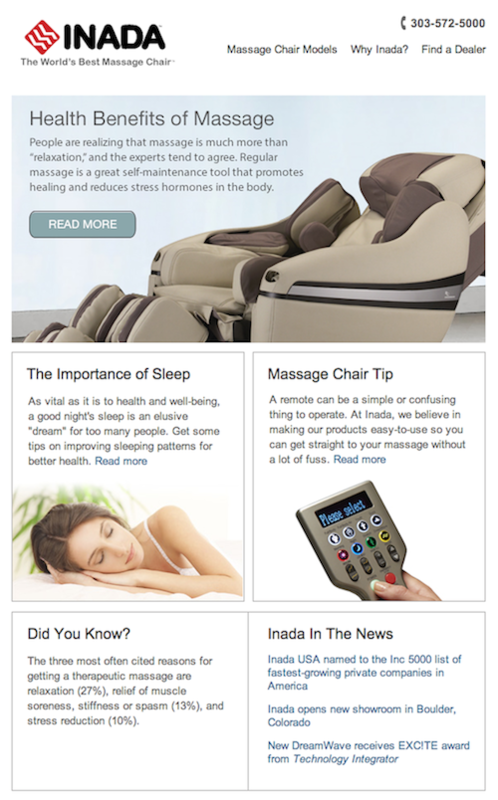 We launched a new digital newsletter this week for client Inada USA of Boulder. The newsletter offers a broad range of articles and tips for improved health, stress-reduction and other related issues. Inada makes The World’s Best Massage Chair™ and is a company sincerely committed to helping people get more out of life through their category-leading massage chair products. The quarterly newsletter is distributed to their avid fan base of customers, their authorized dealers and others who register to receive the newsletter.